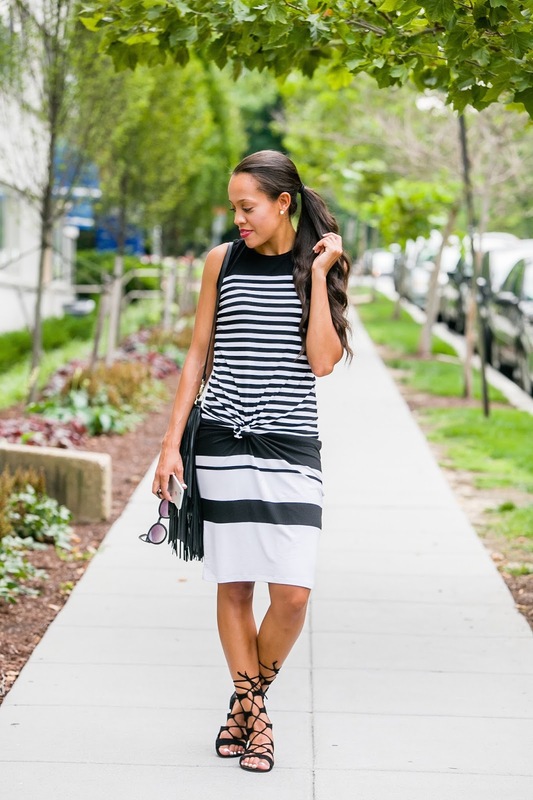 Feel like you JUST saw this dress on the blog, well thats because you did here, but I'm all about the remixing so I figured I would share with you how I wear this midi dress for a more casual setting. I shortened the length of the dress with a knot (I use a clear elastic to keep it in place) because I wanted to wear my gladiators but didn't want to completely shorten my legs. By hiking up the dress and grabbing a few of my favorites, like this fringe purse and these sunnies, this dress goes from glam to casual with just a few minor changes! Your Choice of DKNY Sunglasses!